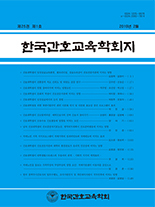 박태희, 이경희,(2014).청소년의 부모애착, 또래애착 및 우울이 자아존중감에 미치는 영향.한국간호교육학회지,20(3),353-361. Purpose: This study aimed to provide the baseline data for improving self-esteem under the influences of parental and peer attachment and depression in adolescents. Methods: The data were collected from 200 middle and high school students in D metropolitan city by completing questionnaires from August 19 to August 30, 2013. Results: The results of this study were as follows: The self-esteem was significantly different in academic grades, father’s education level and economic status in adolescents. The relation of the variables to self-esteem by the statistical power in order was depression, peer attachment and parental attachment. The more the subjects were depressed, the more self-esteem dropped. The better parental and peer attachment, and household socio-economic status, the higher self-esteem was. Stepwise multiple regression analysis showed the level of parental and peer attachment and depression, which explained 38% of the total variance in self-esteem. Conclusion: Adolescents who had high self-esteem could reduce their depression and form good parental and peer attachment that would prevent them from being maladjusted. These results will affect the various activities of adolescent. Therefore, the way in which adolescents can improve their self-esteem should be found.